! !NO BOND!! This incredible Customized Camellia Designer on a CORNER LOT with UPGRADES You Will LOVE. 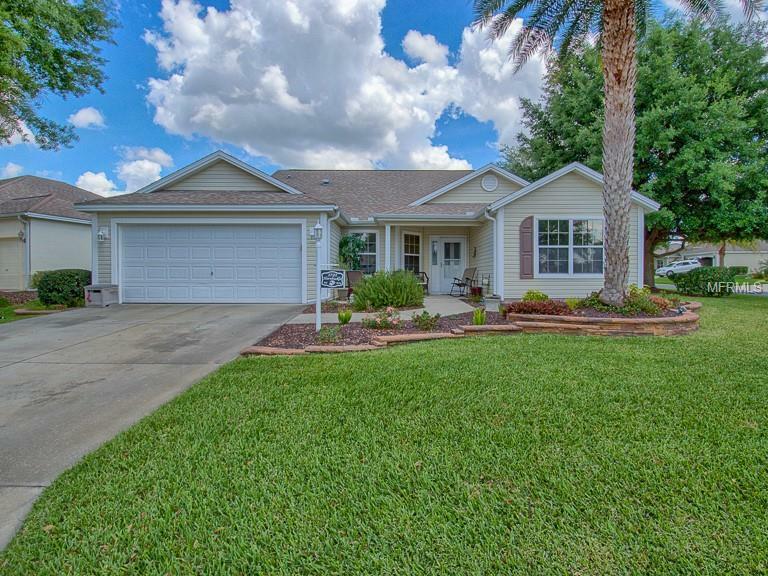 Located in the Village of POINCIANNA 2.6 Miles away from Lake Sumter Landing!! Front patio to enjoy the quiet Cul-de-sac street with Great neighbors. Brand NEW LG Stainless steel appliances including LG dishwasher. Kitchen & baths have floor tiles throughout. Inside laundry room with utility sink. Living room & all bedrooms have wood flooring! Big master suite with cove ceilings, double closets, Large linen closet, double sinks + makeup vanity. Private toilet and walk-in shower area. Guest Suites located on the opposite side of the home w/ pocket door and linen closet for privacy. Call today for a private showing!